I started thinking about just “What is Internet Marketing (IM)?” the other day and man… I had a very hard time defining a defined, simple, one sentence explanation of what IM actually is. You see, I see Internet Marketing as more like a huge container… a wrapper… rather than a defined object or “thing”. And that is where the “flavors” of Internet Marketing analogy comes in. 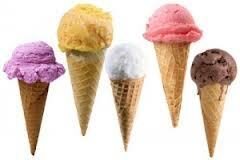 Maybe we can look at Internet Marketing like an ice-cream shop or candy shop and then view all of the different business models as “flavors” of ice-cream which is found inside the ice-cream shop walls. So… is what you are doing or trying to do or “intending” to do (sorry… but that is my little dig at “taking action”)? Is it going to be chocolate flavored, cherry-swirl, vanilla, rocky road, pralines n’ cream, cherry cheesecake or ??? What do you choose, do I choose more than one and what if I don’t like it? …and probably a bunch that I’ve missed. .. seeing any common thread?? So as you can see there are many “flavors” to Internet Marketing and many, many roads to go down with many forks in them which can lead off to numerous related opportunities and ways to make a good income. You just have to CHOOSE… so make your first (of possibly several) choices and just put the pedal to the metal and get moving, take action, do SOMETHING… Ok? The one thing though that I do hope you take away from this is the relationship you need to make with building your list, nurturing your subscribers, caring for their needs/wants/desires and building a strong relationship with them. List building is an integral part of almost any and all aspects of internet marketing so it is an optimum place to start and get good at, right? This entry was posted in Getting Started, List Building on February 21, 2013 by Daryl Austman.